I remember as a kid loving to take baths and then slowly, as I got older, baths turned into showers and it was all about just getting clean as fast as possible. Then when I left home and was out on my own, I would wake up for school at the last possible moment, shower as quickly as possible and rush out the door – late as usual. It wasn’t until I moved to Europe to do mission work that I really learned how phenomenal taking a bath can be. One of the girls that moved there the same time as I did, but in a neighboring city, would soak in the tub for an hour reading her latest book and relaxing. So I decided to try it and I couldn’t believe what I had been missing out on. This became my me time. My time to unwind after a busy day and I so looked forward to it. Fast forward to adult hood and a wedding, plus three kids later – baths were a forgotten ritual. Who has time to take a long bath anyway? That’s what I always thought, until recently. I actually do have time to take a bath and it’s all about priorities. I had heard a lot of talk about detox baths and how good for you they were. So I did some research, bought the needed supplies and took my first detox bath. Needless to say, I’m hooked on baths again. Especially my long detox baths. What is a detox bath? It’s a natural way to detoxify our body and flush out toxins. Detox baths are known to boost your immune system and your well-being. Just Google ‘Detox Bath’ and you’ll find a wealth of information on it. 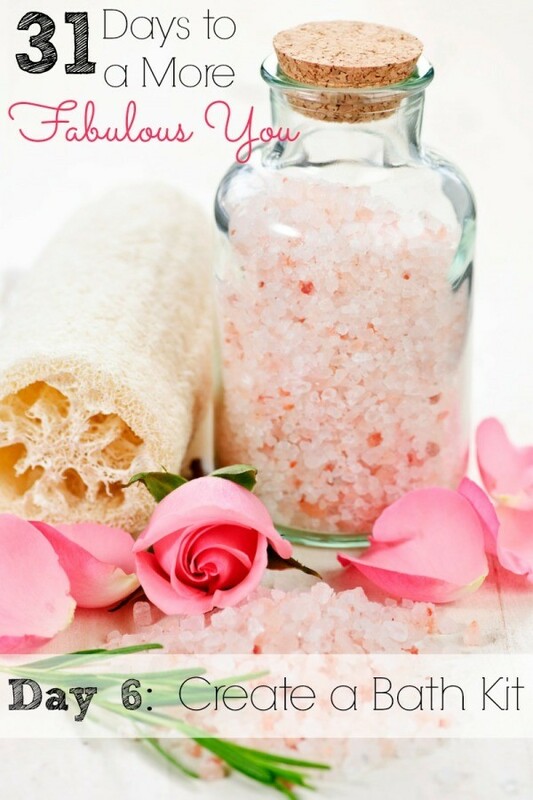 A detox bath is made with epsom salt, which has a whole wealth of health benefits in and of itself. I make my detox bath with epsom salt, essential oil and baking soda. 1. Add 5 to 10 drops of essential oil (lavender is perfect) to 2 cups of epsom salt. You can also purchase epsom salt that already has lavender in it, such as this Dr. Teal’s. I have a bag of this and love it. Add this to a tub full or water. 2. Sprinkle in 1 cup of baking soda, which helps neutralize the chemicals found in our water, such as chlorine. Swish around. 3. Immerse yourself into the water, covering as much as your body as possible. Soak for at least 20 minutes, but go for 40 minutes if you can. You should start sweating shortly after being in the tub, which is what you want. 4. After soaking, get out of the tub very slowly, You will be dizzy. You can at this time shower off with cool water. 5. Dry off and moisturize with an all natural lotion such as shea butter. 6. Immediately drink a full glass of water, but do not eat anything. I know myself and if I have to round up everything I need to take a detox bath or regular bath every time, the bath will not happen. But if I have everything I need, all together in a basket in the bathroom, it makes taking a bath the perfect way to spend a few minutes before I head to bed. There are so many benefits of taking a bath from helping with colds, aiding in sleep and helping you to relax. The other night I took a bath while watching an episode of Downton Abbey. Does it get any better than that? No, no it doesn’t. Do you like to take baths? Is it a common weekly ritual for you? Let me know! And if you have any secret ingredients you put in your bath or have results from taking detox baths, please share. One thing I love adding to my baths is a mix of different herbs. Different herbs have different benefits, chamomile and lavender can be relaxing, arnica and rose hips can help sore muscles, plus a ton of others. I have a cheese cloth bag I reuse so it doesn’t clog up the drain. I think you can Google or search pinterest for combinations to try.